A large contingent of Villanova runners (including many unattached and a few alumnae competitors) competed in the first cross country meet of the 2012 season this afternoon at Haverford College, which hosted the annual Main Line Invitational. Not surprisingly, the Villanova harriers dominated the event. 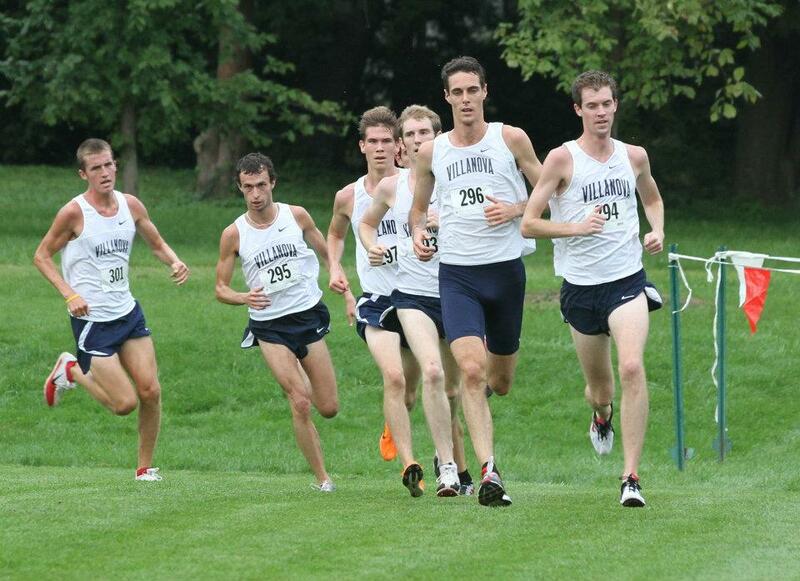 Recent Villanova graduate Hugo Beamish won the individual crown, impressively breaking 19:00 on the 4-mile course. A large group of Villanova harriers broke 20:00, something of a target time for coach Marcus O'Sullivan on this course. Five men -- McEntee, Williamsz, Mildenhall, Alex Tully and Matt Kane -- came home faster than last year's winning time of 19:34.60 by Brian Long. Sam McEntee come home first among the collegiate runners, in a very fine 19:13, two seconds ahead of true freshman Jordy Williamsz from Australia, and 3 seconds ahead of the previous school record set by Bobby Curtis on this course in 2007. New Zealander Mathew Mildenhall was fifth overall, seven seconds in arrears of Williamsz. Here are the Villanova results, with current Villanova unattached runners included for comparative purposes.